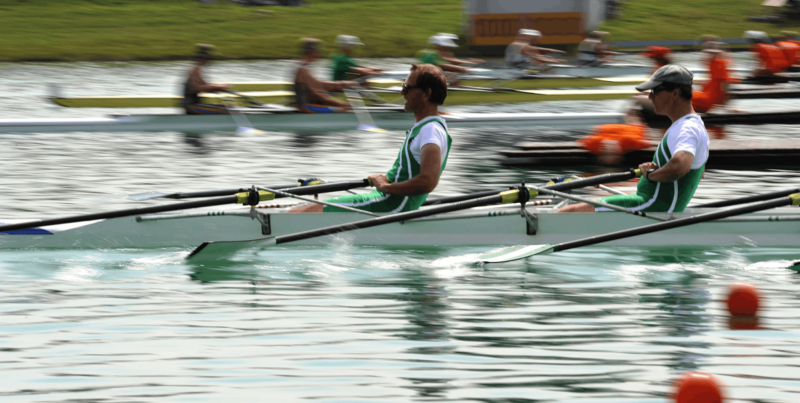 Euro Masters Regatta – Regatta München e.V. Welcome back for the 2018 Euro Masters Regatta in Munich! The official timetables show you the exact start times for all races and events of our regatta. You can display and download the timetables using the link below, when available. You find live results here. Click on the button below to receive the complete final results. All entries, crew changes, scratches and late entries must be made via MAX, the online entry system. From April 1st, 2018 you can enter your boats and book additional services. You can find the complete race schedule for all three days here. The races shall be rowed according the FISA Rules of Racing and related bye-laws. A rower may compete if he/she attains the age of 27 in 2018. Within an age category, a sorting by the year of birth is applied equivalent to the World Masters Regatta. The sorting by year of birth will be done at the draw considering all valid entries by the time of the draw. The sorting within an age category will be done backwards from the oldest to the youngest participant. Late entries that will come in after the draw will row in the heat with the youngest participants, not considering their year of birth. If scratches occur, the regatta committee reserves the right to depart from that rule. You don’t look your age. Please make sure to bring an official ID document such as passport, ID card or driver’s licence with you to prove your age. At the Information Center, we will prepare an accreditation including a copy of your ID for you, so you can simply carry that accreditation. General entry deadline is July 4, 2018, 6pm local time. Entry deadline for the Mixed races is July 29, 2018, 4pm local time. Entries for the Mixed races can be made online until that deadline. Entries only by using MAX, the online entry system. MAX will be available in the following languages: English, French, German, Italian, Russian, and Spanish. Late entries are accepted via MAX until 7pm (local time) the day before the actual race. Entry fees in this case are doubled! Crew changes, scratches and late entries have to be made via MAX, the online entry system. As a maximum, only half of the rowers of a crew may be substituted. A substitute shall not be permitted if the age of the substituting rower would lower the average age of the crew by more than one year or change the age category of that crew. Early registration: At the early registration deadline on May 15, 2018 the amount for the early entries is due by bank transfer or online payment. Early entries that are not paid for by the deadline will be charged with the regular entry fees. Regular entries: At the entry deadline on July 04, 2018 the total amount of the entry fees incl. possible additional fees (excluding the early registration fees already paid) are due by bank transfer or online payment. Please note that entries that are not paid at the entry deadline will not be automatically scratched, they remain valid entries. Late entries: Entry fees for late entries can be paid by bank transfer or online payment or at the regatta office. The coxswain’s weight is 55kg. A coxswain has to employ deadweight to compensate for an underweight condition to a maximum of 15kg. Coxswains will weigh-in once for the whole regatta one (1) hour before their first race at the latest. A coxswain may be of either gender. 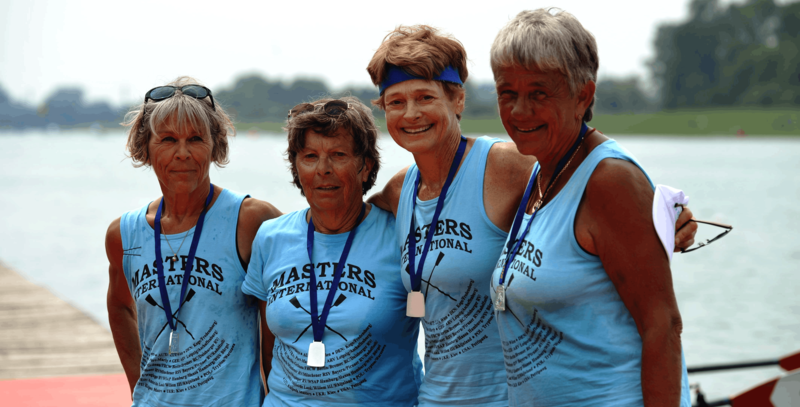 Age categories do not apply to coxswains of Masters crews. For weigh-in, please go to shed #22. Sunday weigh-in times will be published here depending on actual coxed mixed races. Lightweight weigh-in two hours before the race. Scales for inofficial weight check can be found at shed #22. The traffic rules can be found here. Each regatta participant must be able to proof his/her age by presentation of an official photo ID (passport, ID card, driver’s license). At the regatta office, you will be able to obtain an accreditation to avoid the necessity of carrying the photo ID. The age of the participants will be verified during the regatta. In addition, the identity can be verified at the victory ceremony. All age groups race on the 1,000 meter course. Generally, races are started on six or seven lanes in three- or four-minute intervals. When the number of entries in an event exceeds the number of available racing lanes, the event will be divided into two or more finals. If an event’s age category has one entry only, this crew shall start in the next lower age category. The winner of each final receives a medal. If we have to consolidate several age groups in one heat, the winner of each age group will be determined and awarded with a medal. The winner of the Munich Masters Trophy races receive a special award. Members of the same crew shall compete wearing uniform clothing. The regulation regarding uniform clothing does not apply for mixed crews on Sunday. There is a warm-up/cool-down zone located in boat shed #2 with 20 Concept2 indoor rowers and 5 bike ergs. Please note that doping tests are also possible at Masters regattas. A required medication has to be attested together with the relevant diagnoses and the agents applied – insofar as they are not banned, but notifiable by anti-doping regulations – by the attending doctor. A copy of the attestation shall be deposited before the competition in a sealed envelope at the regatta office. The envelope will only be opened in the presence of the rower and shall be collected upon completion of the regatta. Each competitor shall be responsible for his or her own health and fitness. Information regarding boat rental is offered in a separate area on this page. All 1x races will have Munich Masters Trophy finals on the following day. They will be assigned to the six or seven fastest participants of all heats of the relevant races. For these finals, the rowers can only qualify in their own age category. The assignment will take place two hours after the last heat of the relevant event. The assigned rowers will have four hours time after the end of the last heat of the relevant event to confirm their participation in the final race. If they do not confirm their participation, the next fastest rowers will be called. If an event only consists of up to seven participants, the heat will be directly counted as the final race of the Munich Masters Trophy and the final on the next day will not happen. 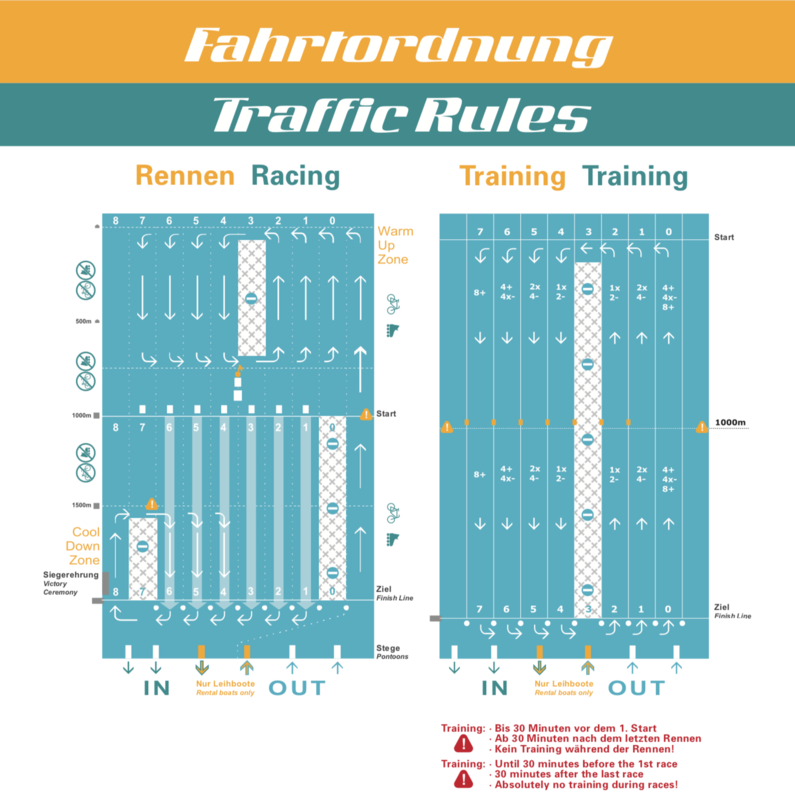 There is no entry fee for the final races of the Munich Masters Trophy. The victory ceremony will take place immediately after each race at the victory pontoon. Starting 2018 and similar to the World Rowing Masters Club Trophy, Regatta München will award the best club teams with the newly created Rolf Oberschür Trophy. The point attribution follows the point system described below. The awards will be solely determined by the performance of the club’s crews as described in this paragraph. Composite crews and finals of the Munich Masters Trophy will not earn points towards the Club Trophies, but will otherwise continue to be fully eligible to compete for the regular medals as usual. A “club crew” is one in which all the rowers are members of the same club (not including the coxswain). 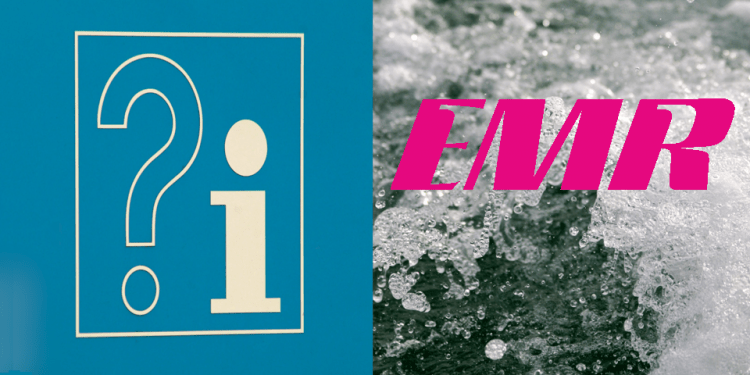 A “club” is any organization recognized, and eligible to make entries in regattas conducted, by a national federation that is a member of FISA. An individual rower’s club affiliation that is verified by the rower and entered in the World Rowing Masters Database shall be binding until affirmatively changed by the rower. 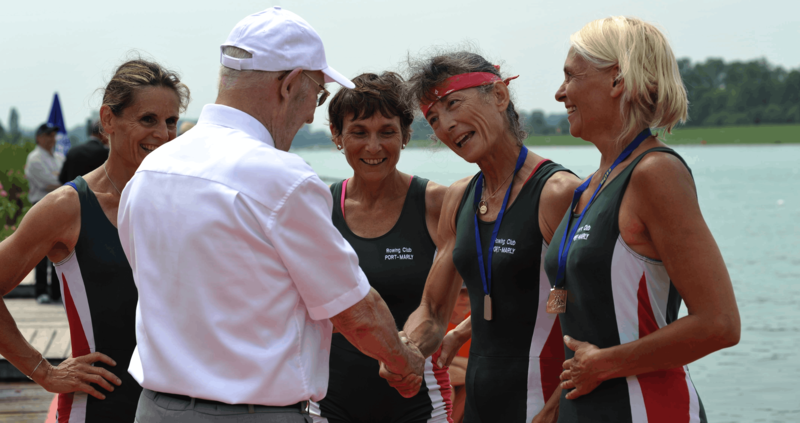 At the Euro Masters Regatta, a rower’s club affiliation shall be irrevocably determined as of the first race in which the rower competes and may not be changed until after the Regatta is concluded. The Rolf Oberschür Trophy will be awarded to the club that has earned the most points in the respective events (men’s events and women’s events) during the regatta. All age and gender categories will be allocated points in the same manner. All club crews who finish the race will be awarded points, regardless of the number of crews racing in that heat. Points will be awarded according to the actual finishing position for each club’s crew depending upon the type of event and placement of the crew, according to the following table. Parking spaces are available behind the grandstand for 3 Euro/day. Information on all racing can be found in the regatta office at the LZM on the right-hand side of the course (seen from the launching area). Signs lead the way there. 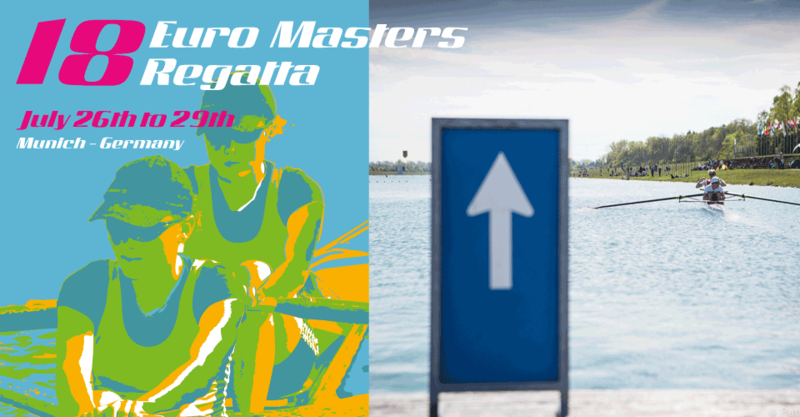 We offer a printed version of Euro Masters Regatta programme for 4 Euro. Around the regatta area there are numerous stands and shady seats with Bavarian food, Italian delicacies and hearty barbecue specialities. Hot and cold drinks, ice cream and cakes are also available. Make the most of your rowing trip and discover Munich and the surrounding beautiful Bavarian pre-Alpine landscape! Munich – tradition meets dynamics and creativity. It’s all in the mix! It is the incomparable mixture of cosmopolitanism and tradition, of high-tech and down-to-earth, of innovation and charming serenity that makes Munich so attractive to tourists from all over the world. The Bavarian state capital with its 1.5 million inhabitants offers everything you would hope for from a perfect city trip: an extensive art and culture scene, unlimited sports and shopping opportunities, a lively bar and nightlife, a varied gastronomy and an excellent public transport network. At the same time, nature is just around the corner when you take a stroll through the English Garden, the Isar meadows, the parks of the castles or hop on a train to the near Alps and the Upper Bavarian lakes. Munich enjoys an international reputation as an art and culture metropolis. Three top orchestras, major music festivals, outstanding opera and concert stages and an internationally renowned club scene stand for a wide range of music of all styles, from classical, jazz, rock and pop to the avant-garde. Munich offers over 50 museums and exhibition centres. A constantly growing world-class art area attracts art lovers from all over the world. In 2009, the Brandhorst Museum opened, which quickly developed into a magnet for the public and, with its renowned collection of modern art, complements the three Pinakotheken in a magnificent manner. The latest addition to the art area, the new house for the State Museum of Egyptian Art, opened its doors to visitors in June 2013. Since 2013 the Lenbachhaus presents itself to the public with its new extension building after its general renovation. The history and future of technology can be experienced up close in the Deutsches Museum, which has two branches in the city, the traffic centre on Theresienhöhe and the Schleißheim aircraft hangar in northern Munich. Anyone interested in automobiles and the successful combination of technology and design is heading for BMW Welt and the museum of the premium car manufacturer. A deep insight into Munich’s history can be gained in the Munich City Museum with its permanent exhibition “Typical Munich”. A visit to the Wittelsbach Residence, the Wittelsbach City Palace, also provides information about the history of the residence city and the former Wittelsbach rule, which lasted more than 700 years. Even older is the neighbouring Alte Hof, the first seat of the Wittelsbacher, where the “Info Point” of the Bavarian Museums is located. A small multivision show in the museum introduces the history of the Wittelsbach dynasty. The world’s best-known member of the Bavarian royal family is undoubtedly the fairy-tale king Ludwig II, who was born in Nymphenburg Castle, the Wittelsbach summer residence in Munich. Besides the rich culture of the city, the people of Munich love their sport. Whether tennis or ice hockey, swimming or rowing, marathons or cycling, golf or football – there are no limits to the enthusiasm for sport in the city during the 1972 Olympic Summer Games. Today, the Olympic Park and its stadiums are still used in many ways: for leisure sports, major sporting events, concerts, festivals or simply to relax in the greenery of the still spectacular tent roofs. With the Allianz Arena, Munich has one of the most modern and extraordinary stadium buildings in Europe. The outer skin and roofing of the stadium ring consist of thousands of diamond-shaped air cushions which glow in the club colours white and red at home matches of the FC Bayern München.